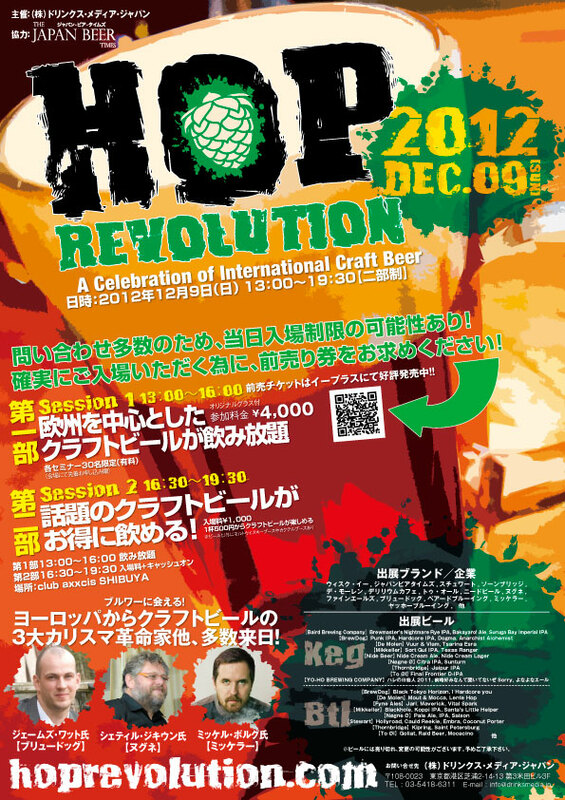 The next couple of weeks, malt enthusiasts based in and around Tokyo have a plethora of exciting events to choose from... but then again, why bother choosing when you can just as easily decide to go to them all! 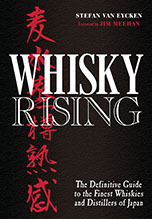 On November 22nd (Thu), the return of Japanese whisky to the SMWS will be celebrated (for more information, check this post); on December 2nd (Sat), the annual Whisky Festival in Tokyo will be held; the Saturday after (December 8th), SMWS members have their quarterly tasting at Bar "S" (The University of Tokyo) to look forward to; and the day after, it's Hop Revolution. Nothing to do with hip hop, by the way. This is the first edition of what will hopefully turn out to be the craft beer equivalent of Whisky Live. The same minds and hands are behind it, so you know you're in for a wild ride - and you can expect to get a decent education along the way, too (if you need any sort of excuse to get out of the house on a Sunday). I grew up in an area where hops were grown left, right and centre, so you can imagine my heart skipped a beat when I saw the logo, but aside from that rather sentimental reason, the fact that this event is featured on a blog about whisky is simply because... well, people who love good whisky also tend to love good beer. They're cousins, really, and we wouldn't want any family feuds, now would we. Anyway, what can you expect of this inaugural Hop Revolution? There will be two sessions: one from 13:00 to 16:00 and the second one from 16:30 to 19:30. At the first session (4,000 yen), you can try all the craft beer you like and you get a lovely, original "Hop Revolution" beer glass. 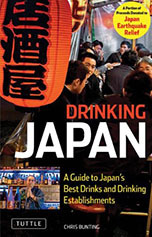 The second session will be party-style: you pay 1,000 yen to enter (except if you were already there for the first session, in which case you can stay for free), and then pay 'cash-on' for beer and other drinks. Not only will you get to meet and drink with the brewers at the forefront of the European craft-beer movement, you'll also get to hang out with such domestic luminaries as Baird, Yona-Yona, Nide, Delirium Cafe, etc. There will be seminars as well. Too much to mention, really, so check out their website! Oh, did I mention there will be whiskies courtesy of the chaps at Whisk-e as well? Tickets are available via E+, and if you don't know what that means, don't worry: there is a special page in English for you on Malt City where you can buy tickets, too. If you're looking at your agenda now: the date is December 9th. If you aren't: I'll let you know what you missed in a few weeks.